Amateur radio (often called ham radio) is a hobby in which people communicate with and experiment with radio. The ability to experiment with radio is an important distinction between amateur radio and other ways in which members of the public are allowed to use radio such as Citizens Band/CB ( 27MHz) and PMR (446 MHz).Because radio amateurs are allowed to experiment with radio, they are required to pass tests or examinations to prove a level of technical competence before being granted a license.For other types of radio license no tests are required, but experimentation is not permitted and usersmay only use approved types of equipment with limited power and simple antennas in order that they do not unknowingly cause interference to other radio users.The ability to experiment also provides an important justification for reserving valuable frequency bands for use by radio amateurs. In Belgium, radio amateurs are granted a license for the purpose of training themselves in wireless communication.Amateur radio allows you to learn skills valuable for a career in engineering andprovides the country with a pool of skilled radio operators for use in times of war. Radio amateurs are permitted to build and modify the equipment and antennas that they use on the air.For many, that is the main interest. Others may do no building or experimenting at all.But because amateur radio equipment can operate on many different frequencies and amateurs are permitted to assemble their own stations using a variety of equipment and use high power, a considerable level of technical knowledge is still required.The main distinction between amateur radio and other radio services is therefore thatamateur radio is a hobby for people who are interested in radio.If you simply want to communicate using radio and have no interest in knowing how it works thenCB or PMR radio will be more suitable for your needs.An important distinction between amateur radio and CB is that radio amateurs are not allowed to use amateur radio for communications of a commercial nature.So you could not use amateur radio to pass messages related to a business activityeven if everyone involved had passed the tests and obtained amateur radio licenses. Why is the hobby often called ham radio? The origin of the term ham radio is the subject of much debate, but it is a term that has been in use for decades.One suggestion is that it derives from the Cockney slang hamateur.Amateurs of all kinds have been called hams for a long time for example, the term ham actor.Some radio amateurs dislike the term as they feel it has connotations of incompetence and amateurishness. 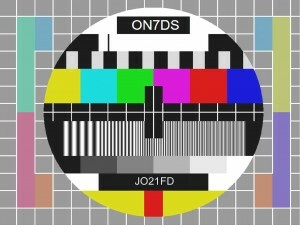 About the only thing that is true of all radio amateurs is that they hold a license that allows them to use and experiment with radio.There is an almost unlimited number of different ways in which they may choose to use this privilege.The following examples are merely a few of the most popular activities.Communicate with others having similar interests.Radio amateurs may use their equipment to converse with other radio amateurs, locally or worldwide.In this modern era of cheap phone calls, Skype and the internet, there are now many ways to achieve this that dont involve the use of radio.The randomness never knowing quite who you will talk to, due to the vagaries of radio propagation is part of what makes ham radio interesting. Collect operating awards and compete in contests. Many radio amateurs compete to collect operating awards or certificates,which are awarded for achievements such as making confirmed contacts with 100 different countries.The interest is in the thrill of the chase, hunting down rare locations and making that contact.Hams also compete in contests where the aim is essentially to make the greatest number of contactswith different locations during a set period. 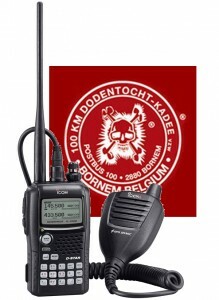 For some radio amateurs their main reason for being involved in the hobby is to be able to providea voluntary communications service during local emergencies.The flexibility afforded by the amateur radio license allowing the use of different frequency bandsand high power means that amateurs can often providecommunications into locations where professional radio systems fail to do so. Experiment with different communications modes. Amateur radio is not just about speaking to people.Many radio amateurs like using morse code, a mode of communication that requires much less power than would be needed to converse using voice over the same distance.They also enjoy perfecting their skills in sending and receiving morse, practising to reach ever-higher speeds.Radio amateurs are allowed to connect a computer to the radio and use digital modes,which allow text-based chat and even the exchange of pictures using radio.The challenge of doing this using radio and seeing how far you can get iswhat makes this more interesting than doing the same thing using the internet. Build and operate their own equipment. Many radio amateurs get most of their enjoyment from building radios and trying them out on the air.A low power morse code transmitter is one of the simplest electronic circuits you can make and it is an enormous thrill to use such a simple transmitter to make a contact with someone hundreds or housands of miles away.Making simple receivers is also a lot of fun.More advanced constructors enjoy the challenge of building radios capable of voice communicationand using higher power, or constructing an entirely home-built radio station.These are just some of the things that radio amateurs do.But there are many more activities too numerous to mention.Some people like experimenting with ultra-high frequency communication, operating from hilltopsto get the best distances using line of sight propagation.Some like to push the boundaries of communication by bouncing their radio transmissions off meteor trails or even the Moon.Others make contacts using satellites that have been built by radio amateurs and sent into orbit especially for ham radio use.There are easier ways to communicate with someone if thats all you want to do.But if radio with its unpredictable behaviour and different properties at different frequencies interests you,or if the idea of making contacts with rare, distant locations perhaps using low power or equipment you made yourself excites you, then amateur radio is a great hobby that will provide you with a lifetime of interest.